An attempt to repaint Genghis Kar, made in 2016. 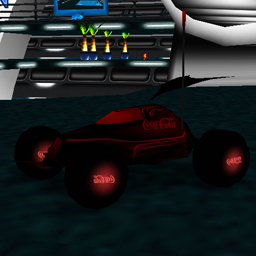 As the name implies, it was intended to be a sponsored car for Coca-Cola. Parameters are a bit better than Genghis Kar's. It has a better acceleration and don't turn over when using battery.